Although I've lived in Southern California my whole life, I rarely go to beaches outside of Orange County. With amazing places like Huntington and Newport Beach, there's really no need to travel any farther. But, I always love exploring so I decided to make a trip north to Malibu for the day and I'm glad I did. There have been rumors that Gladstones, a perfect, beachy restaurant right on the water, will be closing next October. Despite news reports, the Pacific Coast Highway eatery says there are no plans to shut down. Fingers crossed that is the case because it would be a shame to lose such a great place. It was my first time visiting so we opted to sit outside for the ambiance, however; the tables inside are also great and the windows are large so you get a great ocean view. I don't think there's a bad seat in the house. I chose the ahi sandwhich ($21) and my mom went with the fish and chips ($26). The fish and chips were huge and my mom loved them. While my ahi wasn't the best, probably because the pieces were so large that they couldn't be properly seasoned, and my side salad wilted in the heat, the bun and toppings were very good. Don't get me wrong - I ate that whole sandwhich, so I don't feel like my money was wasted. Our server was great, and that added to the positive experience. Lunch is only served during the week, so if you can visit Monday through Friday I recommend it as you'll pretty much have the place to yourself and the beach won't be too busy. When you valet for the restaurant, $9 gets you parking plus beach access. While we only walked around for a bit, visitors can bring their beach gear and make a whole day of it. After eating we decided to drive up the coast and take in the beautiful views - which included some incredible beach mansions. If you decide to go to one of the many beaches, the lots are much cheaper than those of OC beaches and there is plenty of street parking. The only problem with street parking is you have to find beach access in between homes which can get a little tricky. 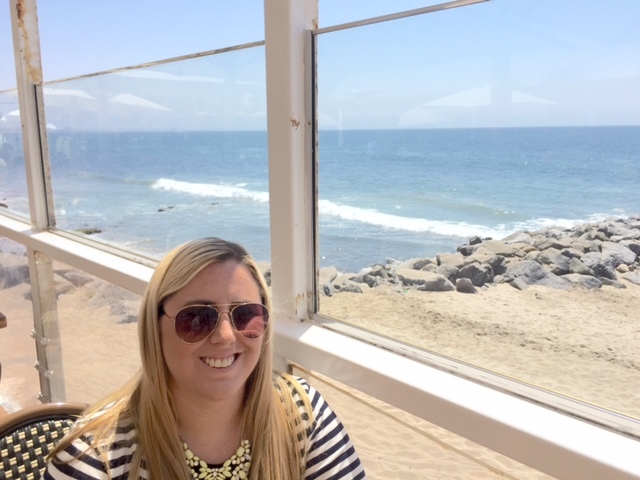 Have you visited Malibu? What's your favorite thing to do there? I'd love tips for my next trip! I'm not sure how I've been blogging for nine years and am just barely getting a legit camera! But I finally made the purchase and got a Canon EOS Rebel T6. There is so much to figure out! I'm definitely overwhelmed by all of the settings so I've been watching videos and trying to do research. 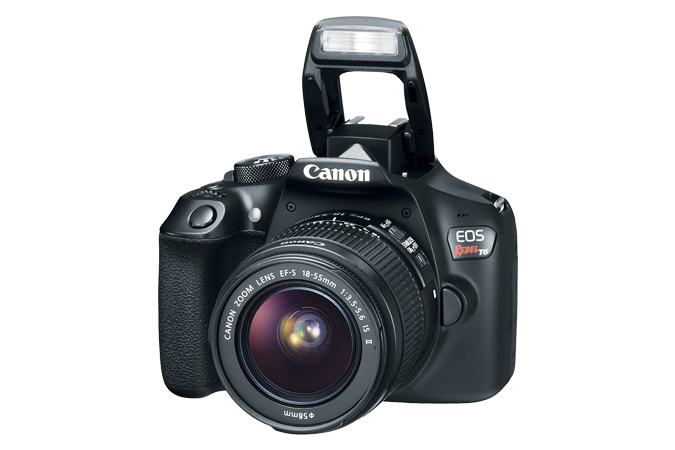 I'll probably take a class or two as well to really help me learn the correct way to use a DSLR. In the meantime, any tips to help me get started? All help would be greatly appreciated! 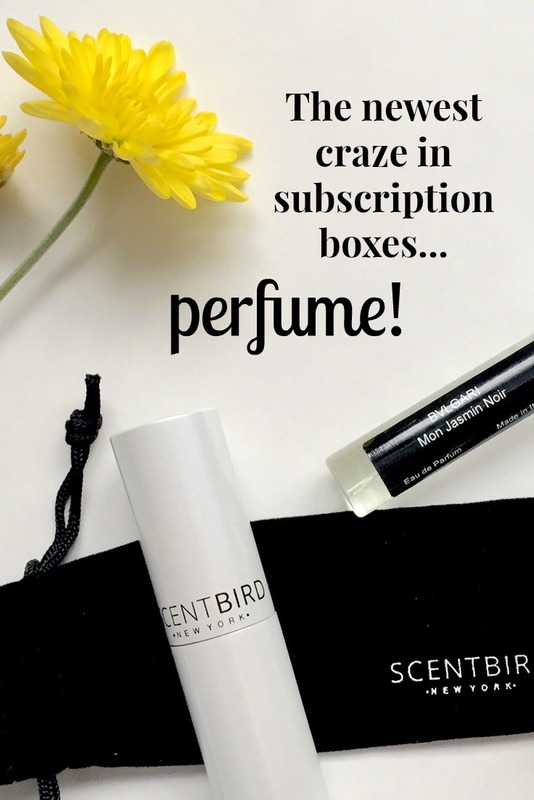 You can never have too many subscription boxes, am I right? From makeup, to jewelry, and now perfume - thanks to Scentbird. 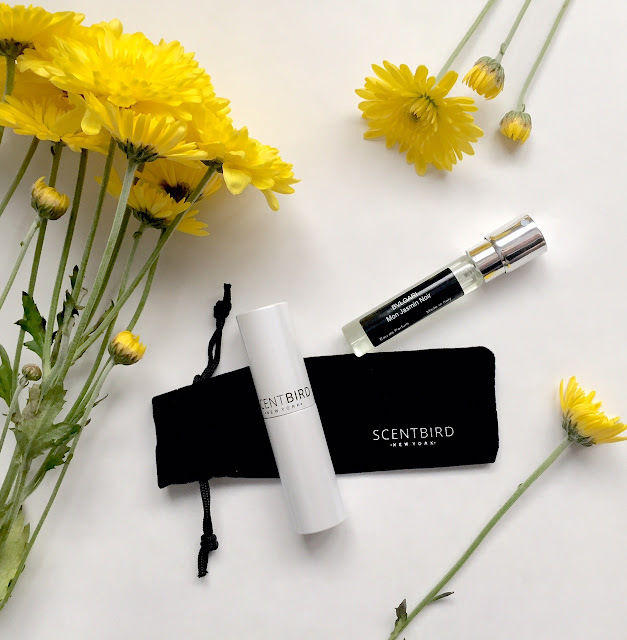 This company provides a monthly service that allows customers to test out a 30-day supply of high-end perfume for $14.95 before committing to a scent. Brilliant! To get started, customers take a test that helps provide scent suggested based on likes. From there options are served up based on that test, or you can pick another perfume that you've been wanting to try. 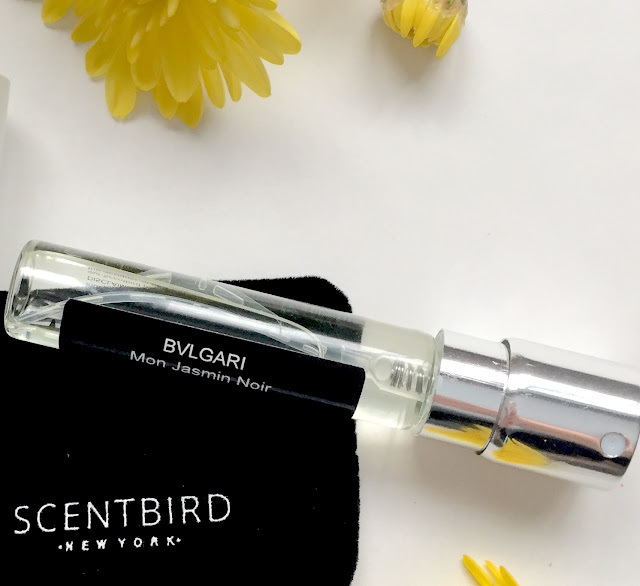 I was matched with BVLGARI Mon Jasmin Noir, which I was eager to try because I usually don't gravitate toward such expensive brands. The first month's box contains a reusable white metal case and each month following you'll get a new vial that you'll pop into that case. 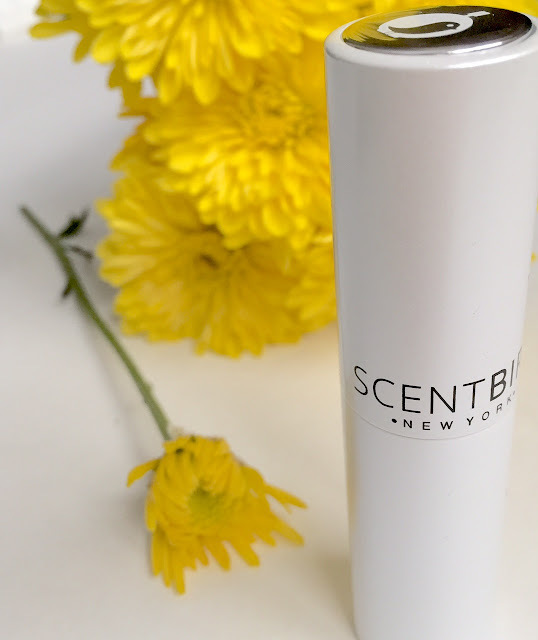 It's perfect for storing in your purse or travel bag without the fear of your perfume leaking or breaking. Disclaimer: I was given a free month subscription in exchange for an honest review. All opinions are my own. 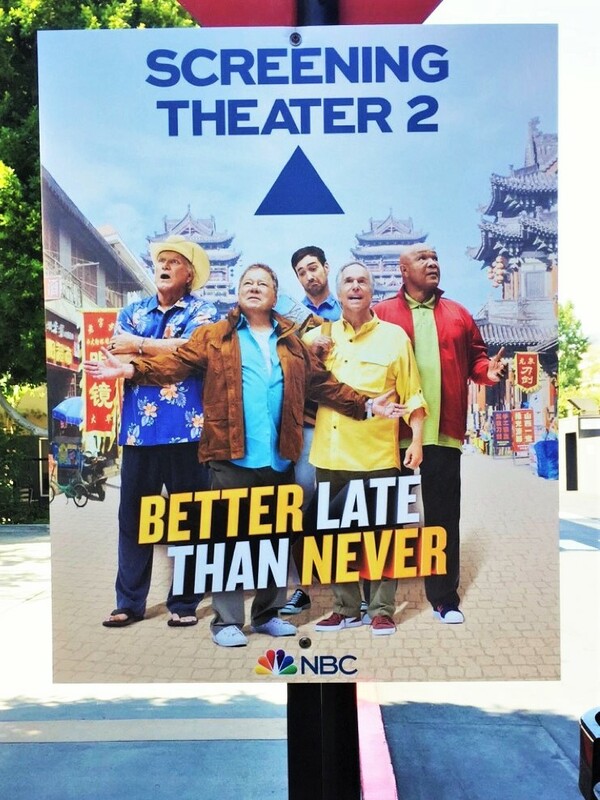 Tune in to Better Late Than Never Tuesday at 10/9c on NBC for a brand new show full of laughs with Henry Winkler, William Shatner, Terry Bradshaw, George Forman, and Jeff Dye, who serves as the guide to these superstars as they travel Asia. Hitting five cities, the men are forced to experience new cultures and put up with each other along the way. What ensues is pure comedy! I had the pleasure of attending a screening last month and the whole audience (full of TV critics, mind you) was cracking up throughout the one-hour episode. The dynamic among these huge athletes and actors is the perfect combination of meshing and clashing. Be sure to watch the premiere episide tomorrow and let me know what you think - although I have a feeling you're going to like it! Of course after the Nordstrom sale I find a ton of additional must-haves. But it's OK because I have a gift card burning a hole in my pocket and there are still some good deals. That beach tote is on sale for 40% off so it's under $30. And the adorable mug is only $13! Looks like I have some shopping to do this weekend. I love Ulta. Aside from MAC, it's pretty much the only store I shop at for beauty products. You can find anything from face masks to hair ties. The best part about the store is the rewards program. I'm constantly getting discounts, they regularly have $3.50 off $15, and you get a free gift on your birthday. 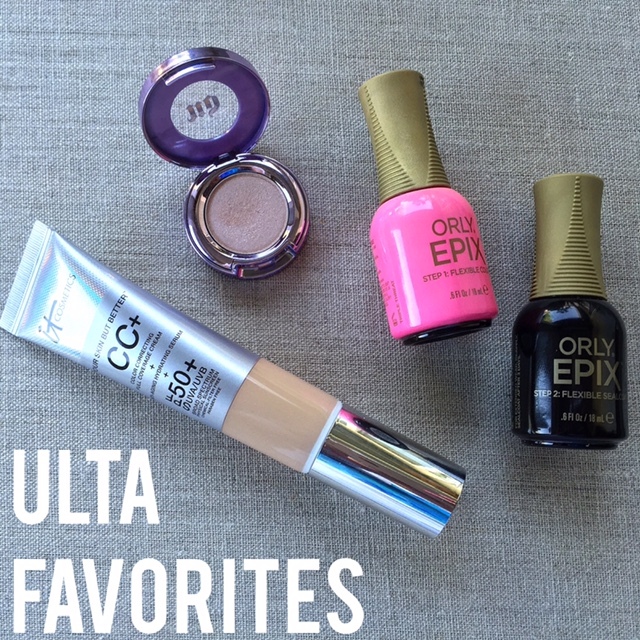 Here's what I picked up on my last visit to Ulta. 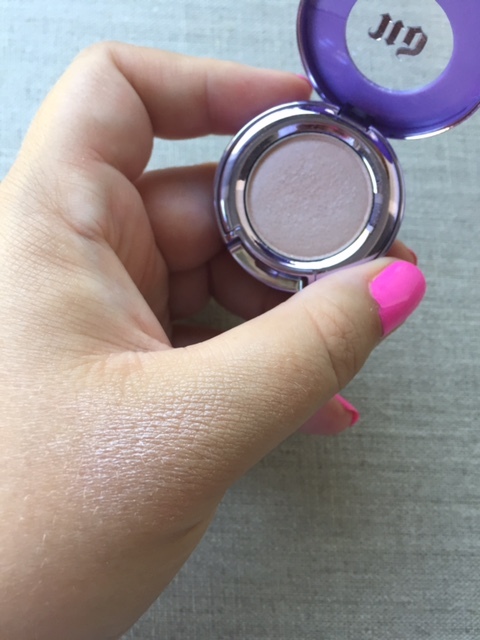 This year the free birthday item was this full-size Urban Decay eyeshadow. The champagne color is on the light side (I'm assuming because it probably looks good on all complexions) and has a little sparkle, but I do have to put a lot on for it to show up. Once I have a few layers I really like the look. You can see the subtly pretty shade on my thumb. That's one coat. I love the colors of Orly polish. They have vibrant shades that are so fun. The picture above doesn't even do this color justice, it's more fluorescent than it looks. I've used this two-step polsih before and it was great but for some reason this duo chips right away. Total bummer since the pair of polishes are $20 together. I'm hoping I applied poorly and it lasts longer the next time. This is my jam! I live in this cream during the summer. It provides good coverage while protecting from the sun. It's perfect for a day at the beach too because it's waterproof. 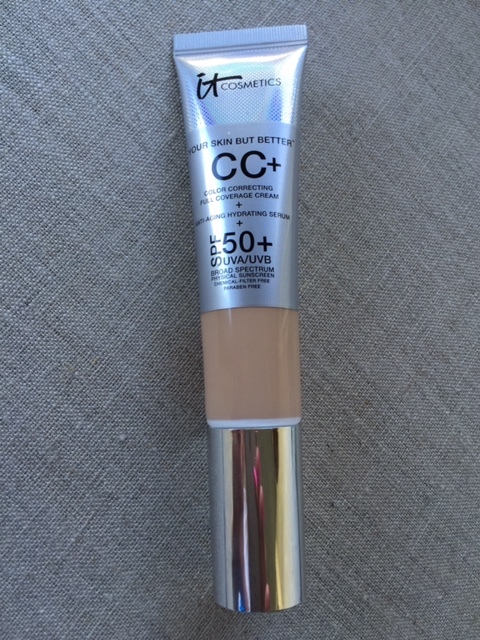 Since it contains SPF it does have a bit of that same consistency as sunscreen so I usually do a real light powder over because I don't like the feel of lotion. I highly recommend checking it out! 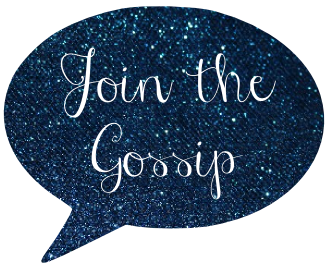 Do you have an Ulta near you, or do you shop the store online?